Sushi is always a great meal option, and it comes in so many different varieties. Nowadays raw, cooked, and even vegetarian selections are available. There is no deficit in the many preparations of sushi, and one of the most delicious ways to enjoy it is with smelt roe. Smelt is a type of small fish from the family known as Osmeridae. These fish have several smaller classifications including capelin, the rainbow smelt, and European smelt. Roe is a general term for fish eggs, so smelt roe is simply eggs from Smelt fish, much like as caviar refers to roe from sturgeon. 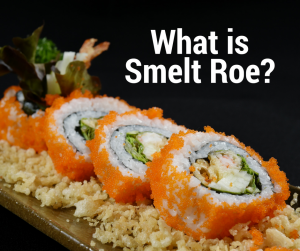 Despite how rarely smelt fish meat is used, smelt roe is very popular in sushi restaurants. Distinguished by its reddish-orange color, smelt roe is crunchy and bountiful with omega-3 fatty acids which are phenomenal for your health. Omega-3 Fatty acids promote heart health and assist in sustaining mental health and wellness. Smelt roe, or as it is known in Japan, masago, has many different uses which should be explored by anyone interested in delicious food. It can be eaten in many ways such as in standalone rolls, covering the outside of sushi rolls as a garnish, or even used as a spread. When looking to expand your dietary horizons, smelt roe is a worthwhile option. Aside from the amazing taste, it is fantastic for your health and can be eaten in many ways. If you are interested in trying it for the first time, look no further than Shogun Japanese Steakhouse. Treat your taste buds to a new delicacy and book your reservations today at 407-352-1607.